Everyone needs a tow from time to time. Why take your chances with the phone book when you need towing OKC? 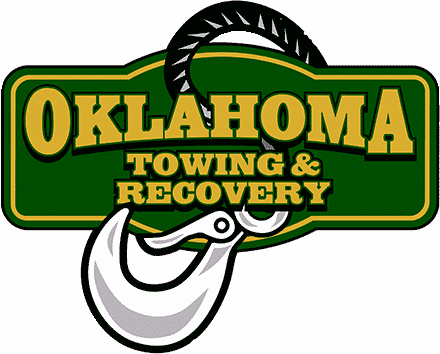 With Oklahoma Towing & Recovery, you know you will receive superior service from a certified and professional towing specialist. We do what we say we’ll do, and we do it on time and with integrity. 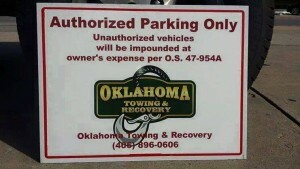 Oklahoma Towing is the wrecker service OKC that has tow trucks that fit inside OKC parking garages. Whether you find yourself with a no start at Will Rogers Airport, or a blowout in Bricktown, or a transmission problem at the Oklahoma County Courthouse, we can respond and solve your issue. Most wrecker services cannot fit into low clearance parking garages. 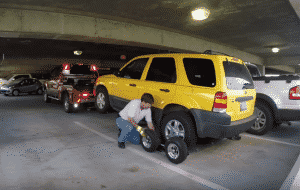 Save time and frustration and call the right towing service! If you find yourself stuck in the mud, sand or snow, give us a call. We keep extra cable and chains on hand and have very strong winches, and our drivers are experienced. We also offer recovery of stuck industrial machinery. We maintain good relationships with other towing companies who will help if your job needs more equipment than we have available. 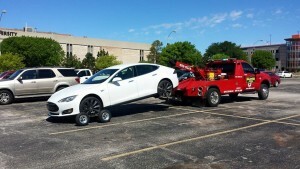 When your battery finally gives up and refuses to start your car, call Oklahoma Towing & Recovery! We can get you moving again, often in as little as 30 minutes! 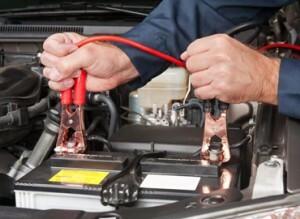 We also perform a limited diagnosis on your charging system at no extra charge. This will help you make an informed decision and save money on unnecessary repairs! 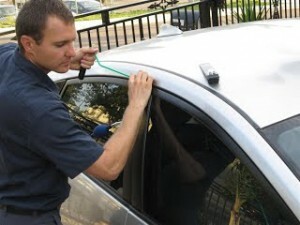 Have you locked your keys in your car? Don’t take chances with amateur tools or coat hangers! Oklahoma Towing has the modern tools and know how to get your car opened fast, without damaging your vehicle’s finish. Our response times are second to none. Whether you are at work, in your driveway, or on the side of the interstate, call Oklahoma Towing when you have a flat tire. 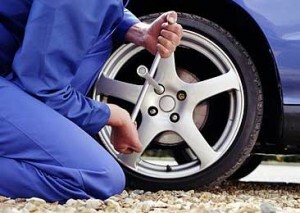 We’ll come right to your location and change your tire immediately. Don’t take a chance with traffic on the side of the highway, when we are trained and have the right equipment to do the job quickly and safely! We can also remove unauthorized or abandoned cars from parking garages! Remember, this service is free to the property owner, and is available 24/7. Please contact us to discuss warning stickers and parking signs for your property. With trucks equipped with 5th wheel and gooseneck hitches, as well as top of the line trailer brake controllers, we are fully set up to tow your camper in the event you need assistance. 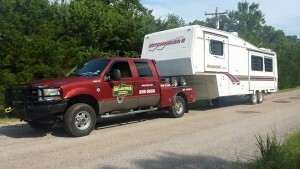 We can also move your horse trailer! Whether your tow vehicle broke down, or your trailer has an axle or wheel/tire problem, we have the innovative solutions and experience needed to get your rig off the highway and to a place of repair. Call us for more information! Do you need a professional partner to tow your customer’s vehicles to your shop? 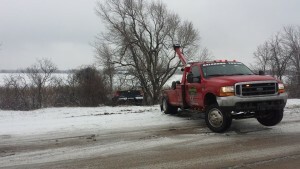 You can count on Oklahoma Towing to treat your customer the way you would want them treated. Please ask about our special commercial rates for towing in OKC.